Holy Week begins on Palm Sunday with Jesus’ Triumphal Entry into Jerusalem while the people shouted, “Hosanna! Blessed is HE who comes in the name of the Lord!” On Thursday evening of the same week, Jesus would be betrayed by one of HIS own disciples, Judas Iscariot. On Friday afternoon, HE would willingly surrender to crucifixion, a painful death that would satisfy God’s requirement for a sacrifice to pay the penalty for the sin of all mankind. 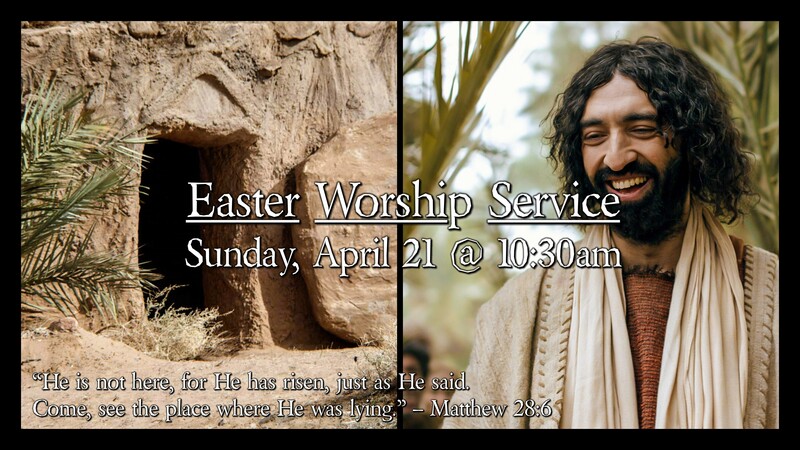 Holy Week culminates on Sunday morning with an empty tomb, as Jesus Christ is resurrected from the dead on Easter Sunday! The resurrection of Jesus Christ is the cornerstone event within all of Christendom. Jesus Christ’s victory over death is the completion of HIS role as Messiah and Savior for all who would choose to confess sin, repent from a self-serving life-style and to profess Jesus Christ as LORD!